Do you have a beautiful new journal but the blank page intimidates you? 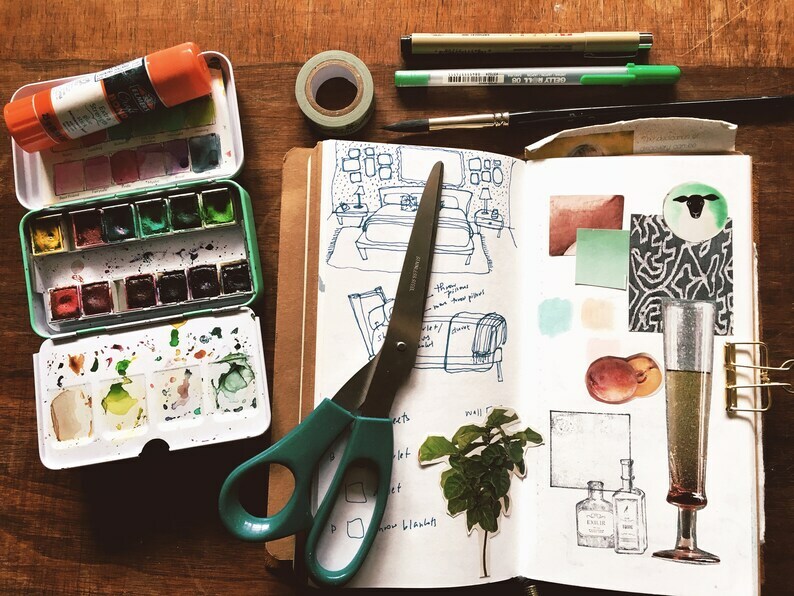 Artist and writer Nicole Chilton has compiled 3 colorful prompts to "woo your creativity." Each prompt engages the artist by using the senses and exploring different mediums, including collage, drawing, writing, and poetry. This is a digital download of three prompts to help you along your art journal process. Lovely, inspiring prompts - thank you! Nicole did a masterful job of inspiring a room full of people to take the time to curate a year in the life.